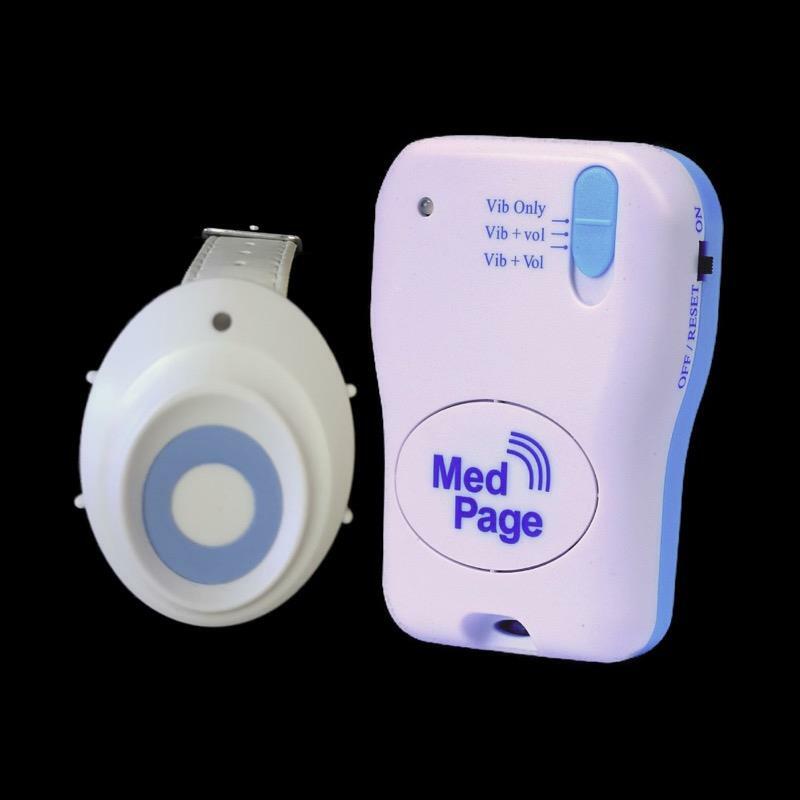 This wrist worn fall detector sends an alarm to a pager when a fall to the floor is detected. The detector features a touch sensor call button which is particularly useful for people with poor dexterity such as stroke sufferers. This fall detector uses dual inertia sensors which detect a fall to the floor or a change in the device height from the floor. The detector, which is worn on the wrist, features a touch sensor call button which when pressed sends an alarm signal to the supplied pager. An alarm signal is also transmitted to the pager automatically when a fall is detected. The touch sensor call button is particularly useful for people with poor dexterity such as stroke sufferers.